Sahaja Yoga is a meditation technique developed by Shri Mataji Nirmala Devi that involves the awakening of a subtle spiritual energy known as the Kundalini which lies dormant in the sacrum bone at the base of the spine in three and a half coils. The word ‘sacrum’ is derived from the word ‘sacred’, which suggests that this is not new knowledge. Sahaja means ‘born with you’ or ‘spontaneous’ and Yoga means ‘union with the divine’. The gentle awakening of this Kundalini energy and the inner journey of Self-discovery is known as Self-realisation or Yoga. Jagruti – the waking state of consciousness. Swapna – the dreaming state of consciousness. Turya – the state of super consciousness beyond the mind. The first three states of awareness are commonly experienced in our daily lives. The fourth state is the state of thoughtless awareness or ‘Nirvichara samadhi’. This is the state in which the constant rising and falling of thoughts in the mind comes to an end. At first a gap begins to appear between the thoughts, this gap is known as ‘vilamba’. As this gap grows the thoughts diminish and, with the regular practice of meditation, the mind enters readily into thoughtless awareness and becomes still like a lake without any ripples on it and a deep inner peace begins to dawn upon our awareness. When there are no ripples on the water of a lake, its surface becomes almost invisible as it reflects the beauty of the landscape around it - the trees and the sky and clouds. In the same way, the still mind reflects the beauty of the creation and melts into the bliss and the peace of the divine. “Enjoyment is only possible when you are beyond your mind. With your mind you can never enjoy. It’s like a big load. It will not act, it will not help. Enjoyment comes when you are in complete silence - in a rippleless lake. The reflection of all the joy that is created on the shores of that lake are completely reflected, they are not deflected. If there were ripples it would have been a different image altogether and would have been something nowhere near the image of reality.” – Shri Mataji Nirmala Devi - Italy, October 1st 1995 In the state of thoughtless awareness we think neither of the past nor of the future. We are entirely in the present moment, in the state of ‘being’ and do not waste the precious moments of life thinking about times that are finished forever or yet to come. We start to enjoy our Self, our Spirit, our own inner beauty and the beauty of creation. We start to enjoy ‘being’. Our growth in Sahaja Yoga lifts us to a higher level of consciousness. It is a natural and spontaneous process that gently transforms us from within, enabling us to manifest and express positive human qualities and to enjoy the peace and the bliss of life described in the ancient scriptures. Sahaja Yoga is an inner revolution that brings about the transformation of human beings into spiritual beings who gradually manifest sublime qualities of compassion, generosity and detached, unselfish love, and who live in a pro- found state of bliss and inner peace. It is a living process and a gradual transformation of our awareness and not a mental projection, nor the conception of a human mind. Sahaja Yoga is not a cult movement that grows big overnight and then collapses like communism or hippyism or any other ‘ism’ that we believe in one day and then denounce the next day, when we have seen that it is, in fact, falsehood. In the same way that a seed sprouts, then grows from a small shoot into a mighty tree, Sahaja Yoga grows both individually and collectively in an entirely natural way. 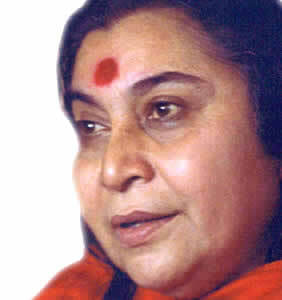 Sahaja Yoga is today a spiritual movement of global proportions. People from more than 100 countries around the world, from all age groups, and diverse religious and social backgrounds are united by their experience of the same inner joy and peace.